"You have high standards for quality and an eye for detail. 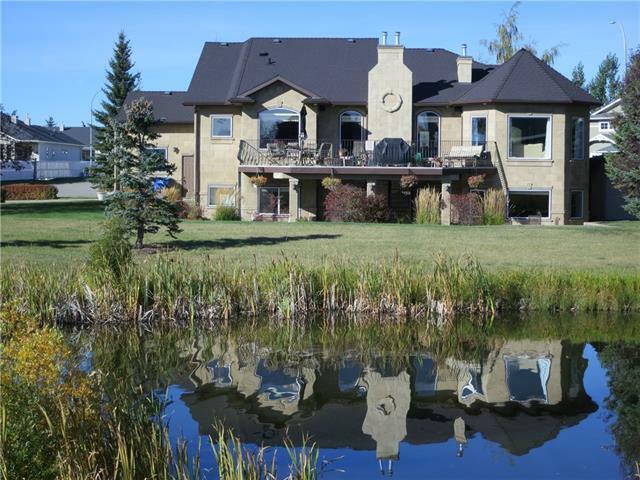 LUXURY, CLASS & COMFORT in this thoughtfully DESIGNED & impeccably MAINTAINED, WALKOUT BUNGALOW with over 4100sf total, backing on the POND in PRESTIGIOUS STONEBRIDGE GLEN. EXQUISITE DETAIL in every aspect of the finishing. Zoned SYSTEMS for everything: floor heat (incl garage), Central AC, irrigation (lawn & beds), built-in sound system throughout; central vac (+kitchen kick-plate), exterior light timer and more. The ROOMS: DREAM KITCHEN with WOLF and Sub-Zero appliances. MASTER SUITE an Oasis of Luxury with gas fireplace, access to deck, 6pc ensuite. Massive GREAT ROOM in the HEART of the home. Office/formal dining room at the front of the home. WALK-OUT BASEMENT with 9' ceilings: REC room, MEDIA ROOM & Den. Amazing finishing detail from built-in china cabinets in the island to the detailed tile work in the entry to ceiling and wall texturing/art. Forget building your dream house-it's here & MOVE IN READY! See more..."